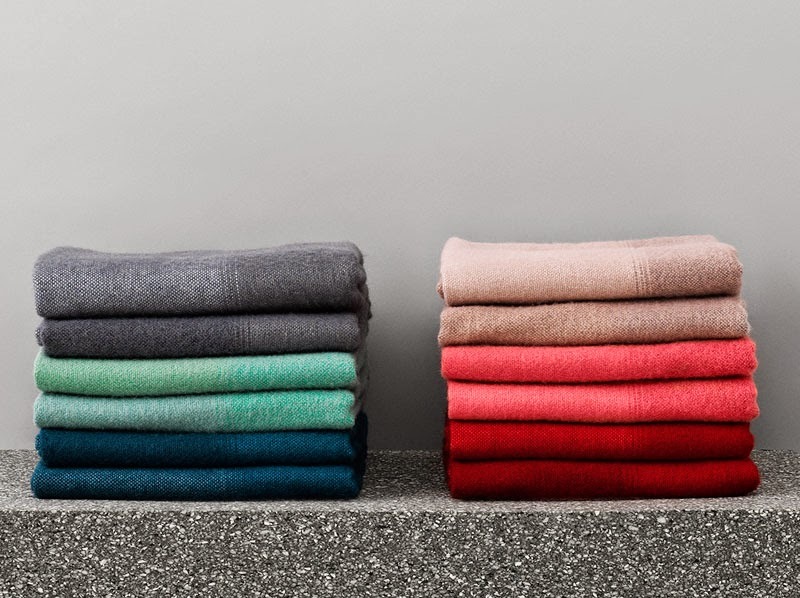 beautiful modern throw blanket in 100% wool: design house stockholm's tint throw is available in six stunning colors, and the primary color of the throw blanket is softened by broad stripes of various lighter and darker shades. in the tint range you will find clear references to the blue hour, where the light gradually moves its way through the complete spectrum of blue tones and culminates in deep black, or a sunset where the sky changes from the most delicate pastels to a blaze of red tones. the expression of the throw blanket changes according to how you fold it. in this way, tint can be used to accentuate other colors in the home. material: 100% new zealand wool width: 130 cm lenght: 180 cm brushed wool for extra comfort and warmth. dry clean only.